IUPUI is one of the top U.S. research universities in a large city. Here you can choose among more than 225 degree programs and many opportunities to develop important skills and get valuable experiences that will help you launch your career and succeed. IUPUI offers a broad array of programs from Indiana University (IU) and Purdue University. Our nationally recognized programs include engineering, business, informatics and computer science, and health professions. 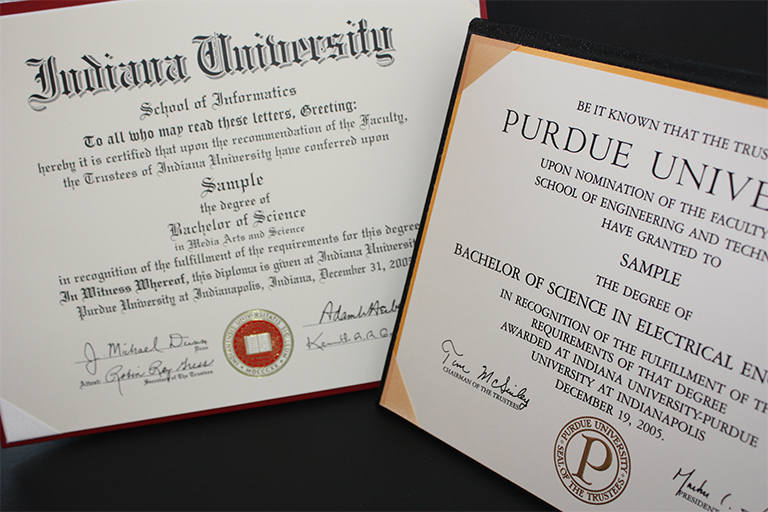 You can earn an IU degree, a Purdue degree, or both. The U.S. education system emphasizes the general understanding of many subjects combined with in-depth knowledge and skills in one or more areas of study. You will learn how to communicate and solve problems with many kinds of people, and you will experience American culture in person. All of this makes you a well-rounded and adaptable person and employee. IUPUI emphasizes hands-on experiences on campus and in Indianapolis to help you prepare for a job and get employers’ attention.